Inspired by the very good weather we start this nice little contest. Post your ideas for new PS VITA related applications on the following Facebook site: CLICK. The best idea which is chosen by the most "like it"'s will be developed (if technically possible) and the inVentor of the idea wins Blazblue Continuum Shift Extended for the PS VITA. My well informed sponsor GAMEFREAX joined the action and sponsors an official PS VITA bag for the winner ! The contest timerange is 1 week, until the 1st April. We're curious about your ideas! 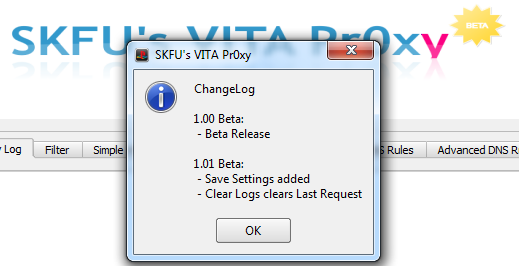 Minor update for SKFU's VITA Pr0xy. When I researched game updates a while ago, it was pretty basic to redirect the URL of the package to any .pkg-file which I wanted to install. Sadly now it is not anymore. The new patch progress is nearly the same, but has a major security difference. The pkg file which is preloaded to check for an update now contains checks of the expected update package file (if there is one available). This means it is not possible anymore to redirect a package file to install another. 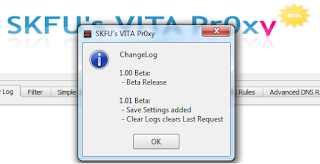 This is the release of SKFU's VITA Pr0xy! Please be sure as always to have the Visual C++ 2008 redistributables and OpenSSL, both 32-bit version installed correctly on your computer. 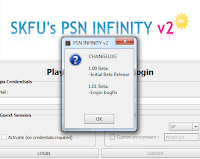 For all the people who had problems with the login function this release should fix it. Enjoy and thanks for all people who donated and support us! 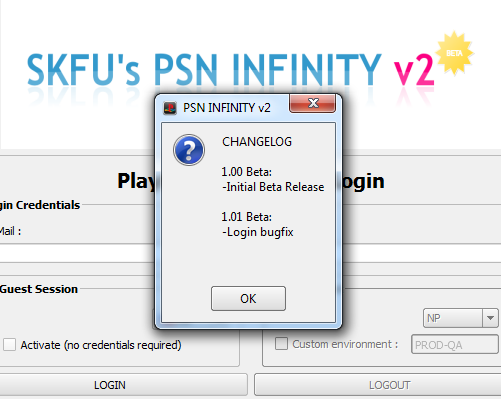 Proudly I present you my newest application "PSN Infinity v2". Since in most news posts my co-coder genius iQD is forgotten, I have to mention him for his great help on this application here once again. This version is released as public beta. Completing the app and including all functions I want it to have will take several weeks but the main function aka browsing the PSN stores is already working. This is the first time I force a donation alert in an app, but necessary as this program is a very huge and time consuming project. If you reach error 99, please install the VC redistributables and OpenSSL. If you find any bugs or have suggestions don't hesitate to e-mail me: (skfuinfo@gmail.com).  This application is made for research and investigation. There is no intention to use it for piracy!